Born in 1914, John Cavanagh was an Irish born and London based couturier. In the years proceeding World War II (often referred to as the golden era of couture) Cavanagh was a key figure on the London scene. One of several Irish born couturiers based in London at the time (others included Digby Morton and Michael Donellan), his journey to couturier began in 1932 as an assistant to Edward Molyneux. During an eight year long tenure Cavanagh moved through the ranks, learning and refining his own style and encountering key creatives of the time including Dior and Balmain. In 1940 Cavanagh, like so many others, joined the war effort, first as part of the infantry and later the Intelligence Corps. The idea of the assistant turned spy turned couturier may not be true but is certainly an interesting prospect and even more exciting potential film plot. After the war he sought a return to the world of his pre-war life, that of couture. His time at Molyneux paid dividends and it was two designers, Dior and Balmain, whom he encountered there that offered him positions at their respective houses. Ultimately It was Balmain’s offer that he accepted. 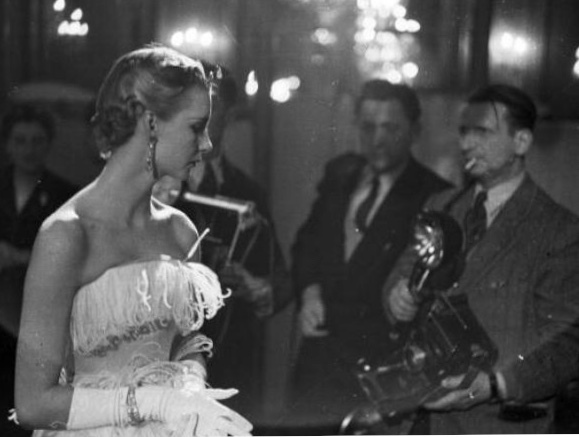 Would things have been different for Cavanagh had he chosen Dior? One can only guess but for Cavanagh, Balmain felt like the best fit; a house that was creating fashion in the way that he saw his future headed. The 1950s heralded a new era for Cavanagh, providing him with the opportunity to become master of his own destiny and head up his own house. By the beginning of the new decade he had over ten years experience in the industry, accrued a set of fine dressmaking skills and developed an understanding of the structure of a couture house, the couture season and the couture customer. In January 1952 he took a huge leap into the unknown and set up his own house at 26 Curzon Street in Mayfair, a space he knew well as it was the premises of Molyneux before he closed only months previously. In his opening month Cavanagh released his first collection; a culmination of his time in the industry and his first real chance to present his own style of couture to the world. A mere six weeks after his first collection was shown Cavanagh became a member of IncSoc, a coup for any designer let alone one who had only recently opened his own house. He was backed by key names in the society; Victor Stiebel nominated Cavanagh, a nomination that was seconded by Peter Russell and Hardy Amies. As stalwarts of the industry, the three couturiers clearly saw something in the designer and felt that he would be a worthy addition to the society. His participation went beyond partaking in the meetings, events and shows and he became vice chairman from 1956-59. Looking at his career as a whole there are a number of defining moments. Cavanagh dressed numerous members of the Royal family, including two royal brides. 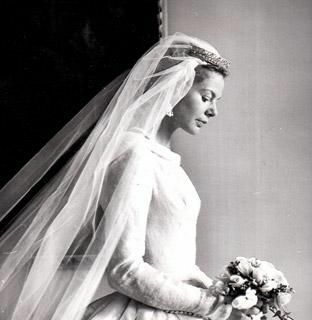 In 1961 Cavanagh designed Katharine Worsley’s wedding dress for her marriage to Prince Edward, son of Princess Marina, Duchess of Kent, herself an iconic bride. Princess Marina’s medieval inspired gown worn at her 1934 wedding to Prince George was designed by Molyneux. Perhaps Cavanagh was involved in some capacity in the making of her gown? We can only speculate. Nevertheless, Marina was a fan of Cavanagh and encouraged her daughter in law to select the Irish couturier to create her gown. The gown was made of a staggering 237 yards of diaphanous white silk gauze. 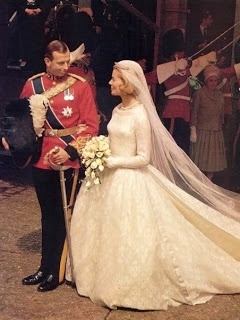 The long sleeved gown with high neckline and voluminous skirt was a success, befitting of a modern day royal wedding. 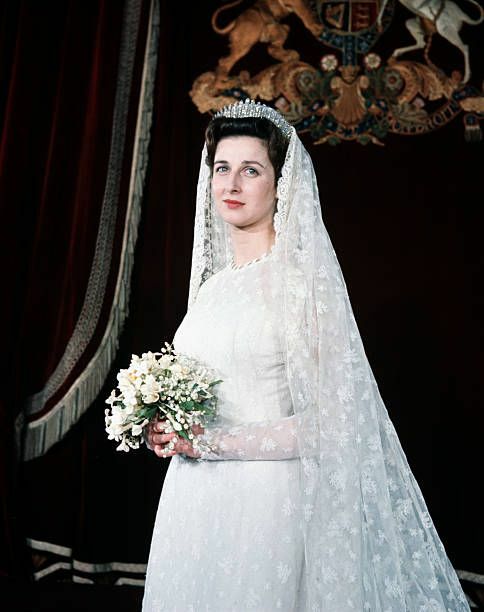 His second royal wedding followed two years later, this time that of Princess Alexandra, daughter of Princess Marina. Made of French lace, the gown and veil included a homage to the bride’s grandmother in the pattern of the lace. Consisting of acorns and oak leaves, the pattern was heavily detailed but added a unique slant to an otherwise simple gown. Both dresses may not have achieved the iconic status of later royal gowns, but showed the scope of Cavanagh’s talent. Looking at examples of Cavanagh’s work, his ability to create fashion that incorporated key elements of French couture is clear. Nods to Dior, Balmain and Balenciaga are evident in the tailoring, the celebration of the female figure, the play with structure and the extravagant evening wear. 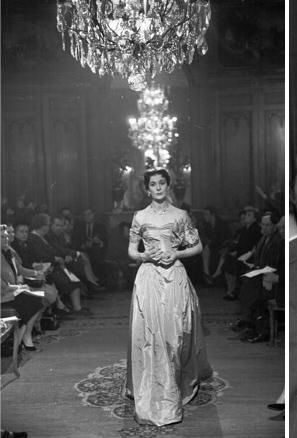 Images from his 1953 show in Paris could easily be mistaken for a Paris couture show, set against an opulent backdrop with a ‘who’s who’ of the industry sat gazing at the models. The behind the scenes shots tell a different story; the hustle and bustle, the fixing of buttons and hair, the DIY makeup and the copious amounts of champagne (full marks to the waiter who ensured the glasses remained full). 1950s and 1960s were a pivotal time for Cavanagh, his formative years as head of his own house. It was a meteoric rise but couture in London began to struggle in the face of huge societal and fashion shifts. 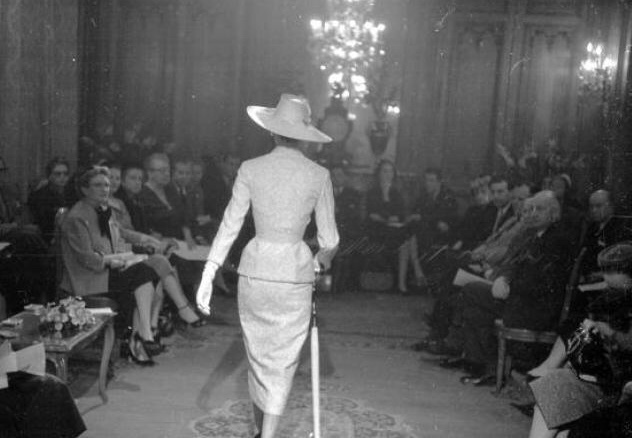 The ways of the past were deemed outdated, the world of couture was slowly disappearing. Ready to wear was offering the younger generation fashion that was new, fast and affordable. Cavanagh closed his house in 1972, bringing the end a career that spanned three decades. To end this blog with the demise of his house does not feel right. Instead it feels more fitting to recognise the scale of his career as a whole. He was Irish born, London and Paris educated at the hands of the greatest couturiers, London based as the head of his own house, part of a group whose members were the keepers of London couture and a royal dress maker. All of this within thirty years. John Cavanagh Obituary, The Times, March 2003.